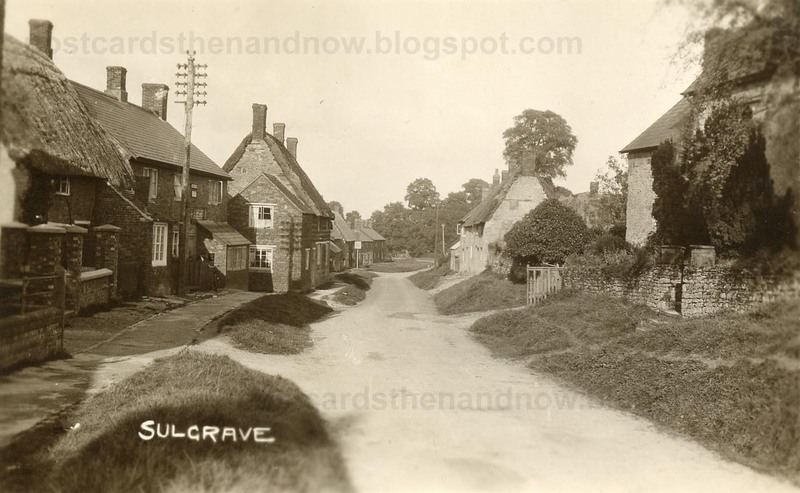 Merry Christmas from the postcards then and now blog. 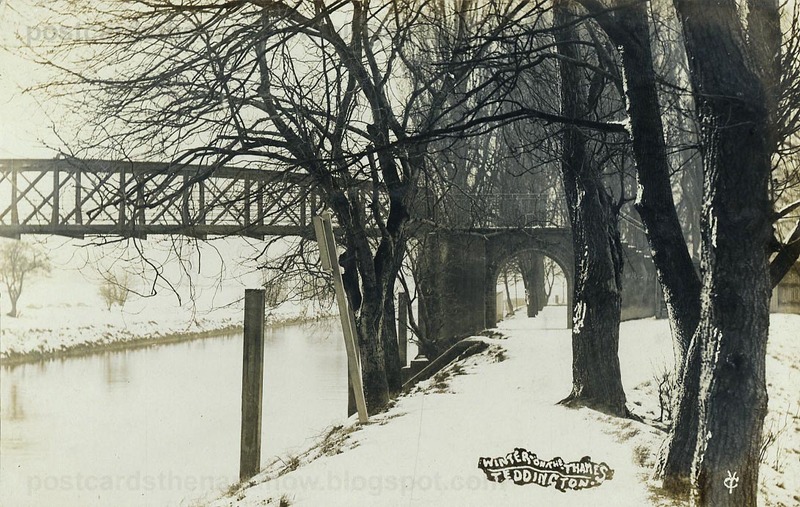 Here is a wintry scene showing Teddington Bridge in a photograph taken by Richard Charles Young in late 1906. For more old views why not visit the Sepia Saturday blog. As always, click the postcard to enlarge. 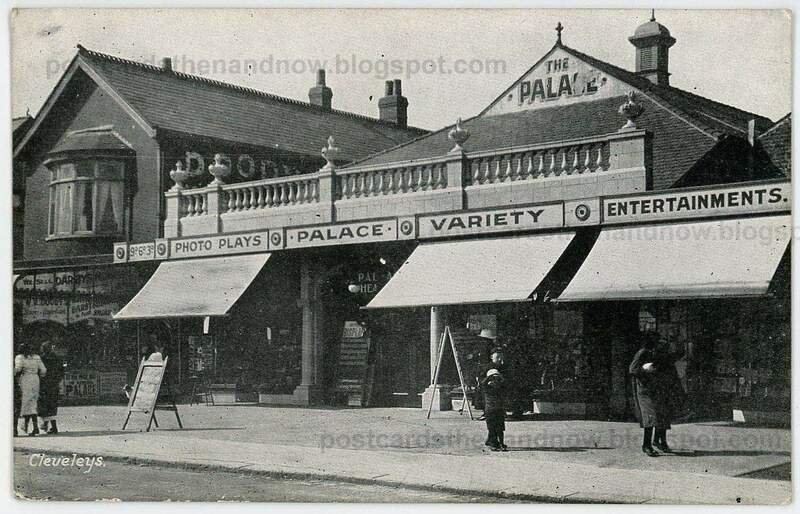 Cleveleys, Lancashire, The Palace, Victoria Road, circa 1910. Cleveleys is a pleasant seaside town just north of Blackpool. It is not entirely clear what 'The Palace' actually was. On first inspection it appears to be an early cinema. However, any self-respecting cinema would have posters prominently displayed advertising the latest films and film stars. This one does not. I suspect that it was a very low-budget concern, showing a limited amount of novelty films over and over again to attract the day-trippers. They would have depended on rainy days to keep their business alive. The frontage shows that they have tickets at 3d, 6d and 9d, so perhaps I'm wrong and they were a real cinema? It would appear from the shop windows that they may have also been a retail premises too, probably selling the usual seaside goodies, sticks of rock, silly hats, postcards etc. In the main entrance there is a sign saying 'Palace Theatre' - perhaps they had live acts too? A charming mystery, I'm sure Cleveleys experts will know the full story. 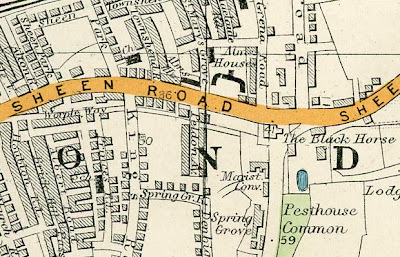 The building on the left has survived, but 'The Palace' has gone. I will not comment on the relative merits of its current replacement. 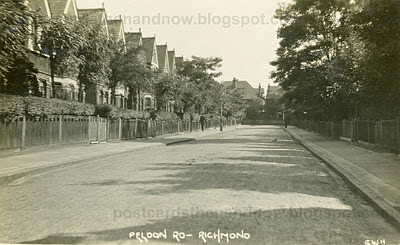 For more old pictures you might care to try Sepia Saturday. Click the postcard to enlarge. 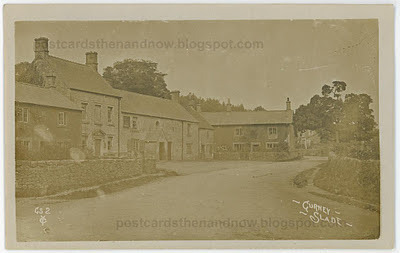 Gurney Slade, Somerset, circa 1910. 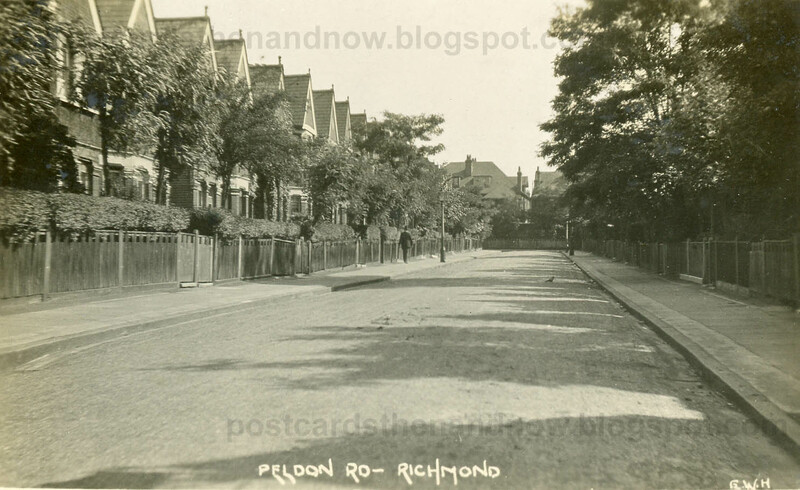 In this postcard by Young and Co of Teddington we can see The George Inn. Gurney Slade was also famous as a 1960 television series by Anthony Newley, 'The Strange World of Gurney Slade'. Click the postcard to enlarge.